Instant loan is gaining popularity among young professionals these days due to the speedy approval process and minimum documentation. Unlike traditional bank loans, you can apply for a personal loan on the loan app from your smartphone. The transaction is paperless. These are unsecured loans which means you don’t have to showcase any assets. Any salaried employee can apply for a money loan. You have to be between 23 years to 58 years old to be eligible to apply for a loan. You can check your eligibility once you enter the app. The reason for taking a personal loan can be flexible. People apply for a personal loan for various reasons like medical emergencies, home or vehicle repair expenses, family vacation, and educational fees, for buying a new phone or a car or to buy any other large asset. People also apply for an instant loan for balance transfer and debt consolidation. The interest rates offered on such loans are very low as these are short-term loans. The interest rates start at 2.5%. You can start by downloading the loan app on your smartphone. There are various loan giving apps like CASHe available on the Apple app store and Google play store. Register yourself on the app with the help of your social media accounts and complete your profile with your basic contact information. Once you are registered, enter your desired personal loan amount. You can get a loan ranging from ₹10,000 to ₹1 to ₹2 lakhs. The duration of the loan can be 15, 30 or 90 days. Depending on your loan amount you can set your duration. 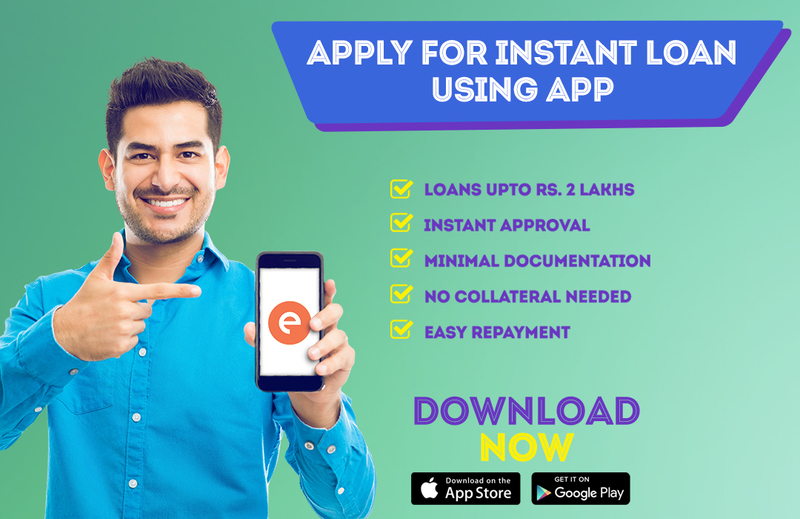 The next step is to submit the required valid documents to the money loan app. The documents include identity proof, address proof, bank statements with your salary credited, and your photograph and income proof. You can submit your passport, aadhar card, pan card, utility bills, bank statement and last 3 to 6 months’ salary slips. Your employer should have a registered company. All the documents can be uploaded via your smartphone itself. If you own a business, your business needs to be in existence for a period of 3 years. You can submit your ownership documents, business utility bills and business profit and loss statement. Submit your loan request to the app, the money loan app will take some time to review your request. You can check your loan status on the app itself. Once your instant loan is approved, the money is then disbursed into your personal savings account. The entire process of money loan takes about 15 to 20 minutes. You can apply for a loan with just an internet connectivity and with valid documents. You can repay the loan amount on the due date via bank transfer or by depositing a cheque. The loan app is very user-friendly, this is one of the major reasons why millennials choose online lenders over the traditional ones. The process is completely private and no third party is involved.